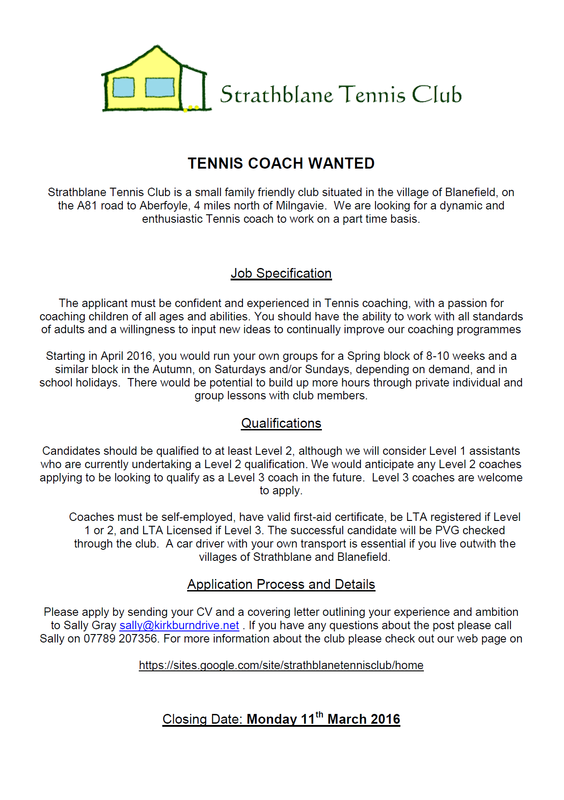 Strathblane Tennis Club are looking for a new coach! 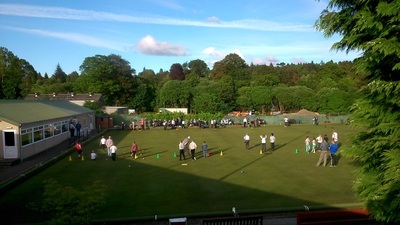 The club is a family friendly club in the village of Blanefield (near Aberfoyle). If you're keen to apply, please send your CV and a covering letter outlining your experience and ambition to Sally Gray on sally@kirkburndrive.net. Any questions please feel free to give Sally a call on 07789 207356. The closing date for the job is on Monday 11th March. 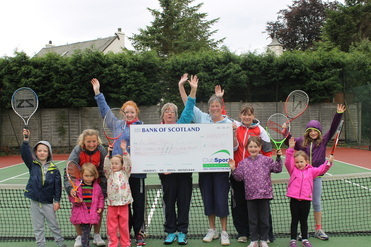 Killearn Tennis Club managed to secure £184 of funding from ClubSport Stirling to go towards new equipment so they could set up new tennis programmes. With the appointment of Hannah Pickford as their head coach, the club have been working hard to have more opportunities available to children in the community to play tennis. The club have specifically been establishing a pre school section of the club to help create a pathway into the junior section of the club. 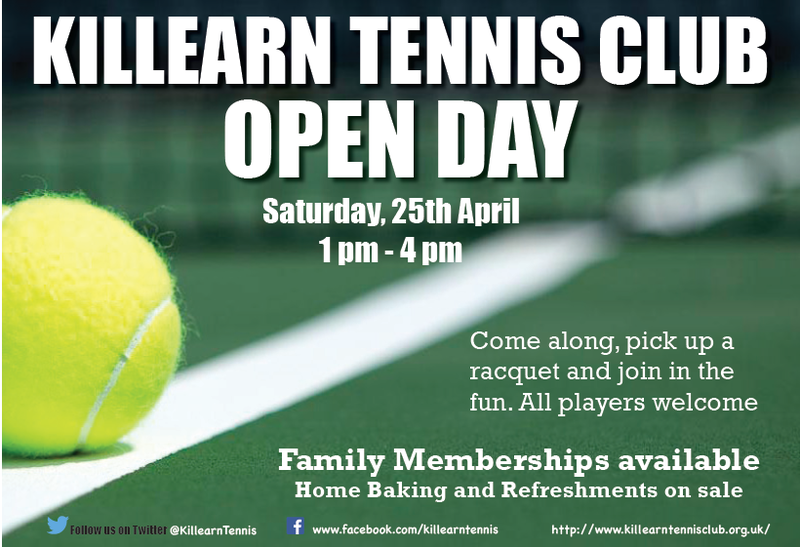 It's been very popular among parents in the area who are delighted that younger children now have the opportunity to play tennis so close to where they live. Well done to them! 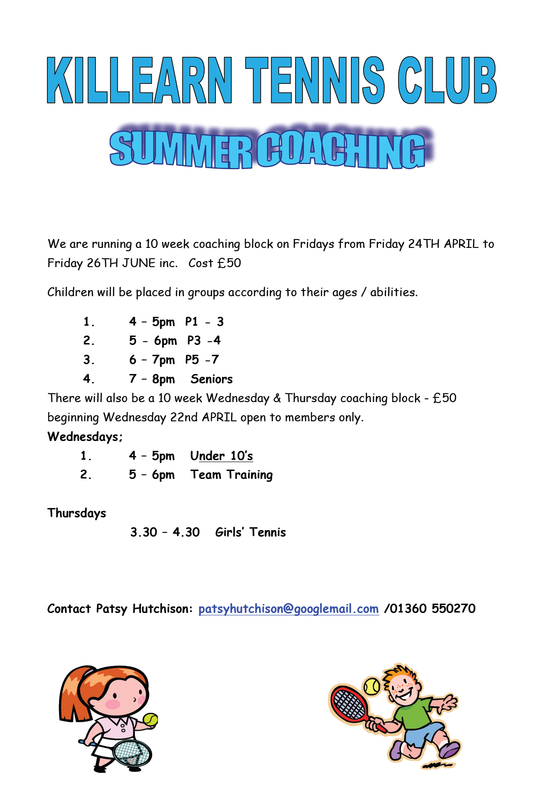 If anyone is interested in trying out the classes at the club please contact Hannah Pickford on hannahpickford@hotmail.com. 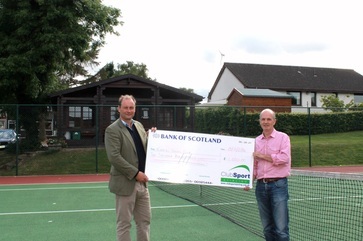 Well done to Kippen Tennis Club who managed to successfully secure £2,000 of funding from ClubSport Stirling. The club are working on a project to improve their court floodlighting to meet the requirements of evening tennis at the club. The club has had a successful time increasing tennis participation at all age levels. However, the combination of coaching, team training, team matches and social tennis has resulted in peak court use during much of the tennis season. The floodlighting is pretty poor and has meant that much of the tennis activity they want to put on is not possible with the lighting they currently have. They hope that new floodlighting will enable the existing facilities to be used for longer periods during the evenings. Well done to them and we wish them all the best of luck with the project. Remember if you would like your club to make a funding bid to ClubSport Stirling please get in touch with your Club Development Officer. 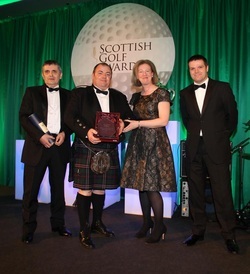 The prestigious event at the Hilton Glasgow saw Stirlingshire club Strathendrick Golf Club presented with the 2013 RBS Junior Club of the Year prize, after startling success in its first year of delivering Scotland's national junior golf programme, ClubGolf. Strathendrick have been described as a club "dying on its feet" even as recently as the start of the 2012 season, strengthening the junior section has offered Strathendrick a lifeline, which it has grabbed with both hands. "We're absolutely delighted and gobsmacked but very humble that we did win," said Junior Convenor David Hood, who collected the prize from MSP Shona Robison alongside fellow club official Colin Valance. "When you see the competition we were up against, the likes of The Whitecraigs and Falkirk, they are synonymous with junior golf, so it was highly unexpected. "Standing back now and looking at things in hindsight, it was such a team effort and it's made me realise how good a team we do have. It has been a team effort from the coaches, the people who have been administrating it through to the parents. "I now realise we've got something great going there." After agreeing to establish its programme with ClubGolf Regional Manager for Central Scotland, Mandy Martin, Strathendrick contacted local teaching pro Barry Campbell and volunteer coach Jean Leitch to deliver it. 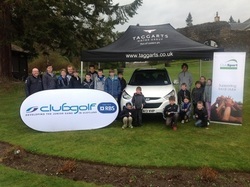 Children were attracted through a membership marketing drive and the club quickly achieved its target of signing up 15 ClubGolfers in 2012. A total of 42 children took part in ClubGolf coaching in year one, many going on to take advantage of a much discounted annual junior membership rate. This has had an incredible effect on the club, which has become a focal point for the local community. "ClubGolf has helped Strathendrick tremendously," said Hood. "It has reinvigorated and brought spirit back to the club and it will help us create a legacy for the club. "It has made a huge difference to the community, so much so that Active Stirling Club Development Officer has approached us and asked if we could do an after school club. 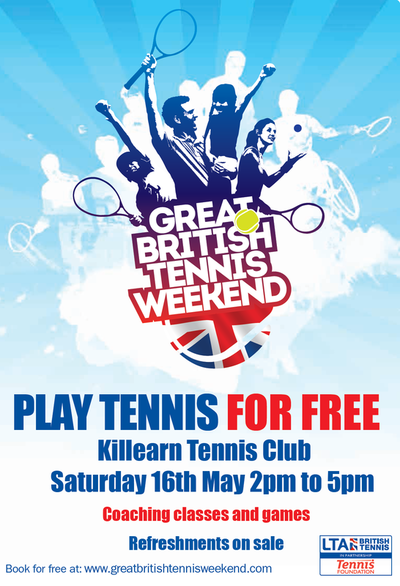 It has had a huge impact on the community where the individuals would normally be out-priced for golf but now have an opportunity to come along and take up the sport." With significant funds to be re-invested into junior development at the club now at its disposal, Hood is confident Strathendrick can build on all that has been achieved so far and create a legacy that will see many more youngsters pick up the game at the Drymen venue. increase that, it means that we can benefit more kids in the community and get more kids involved"
The RBS Junior Club of the Year and Volunteer of the Year awards are sponsored by The Royal Bank of Scotland. Active Stirling's Club Development Officer, Kirsty McNicol and Active Schools Coordinator, Neil Thomson were put their paces last week by Strathendrick Golf Club coaches (Barry and Jean) when they took part in a friendly 'Ryder Cup' competition. Lots of fun was had by all. 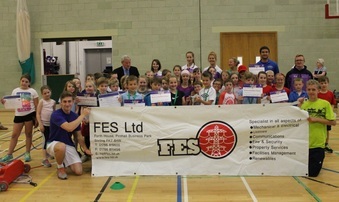 Well done to all 12 clubgolf participants who took part in the camp! Buchanan Castle Golf Club has launched its Junior Programme for 2013, with a focus on providing coaching for juniors who already hold a handicap and wish to improve to participate in competitions. 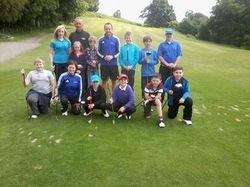 The picture shows a few of the club's junior members, who are looking forward to the busy golf season ahead. We wish them all the best of luck for the forthcoming season.